What is the role of technology for interdisciplinary and heterogeneous PBL? It could be easy enough for a teacher to say, "I use technology in my classroom." But to what degree? Is it teacher centered, student centered, both? What the International Society for Technology in Education (ISTE) offers is a very simple set of standards for addressing these questions. The Common Core and other state standards might be the accountability for content and skills based curriculum, but where is the accountability for technology? ISTE offers six essential standards for students using technology in the classroom. Below are the teacher standards addressed for technology which can be utilized in project-based learning. ISTE offers five essential standards for teachers using and teaching technology in the classroom. Issues that schools face regarding digital usage, and the misconceptions that they unfortunately produce, create reluctant technology integration. 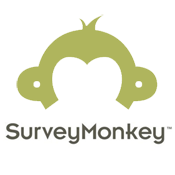 Provided here is a survey to help determine what level of technology integration you or your school site is at.